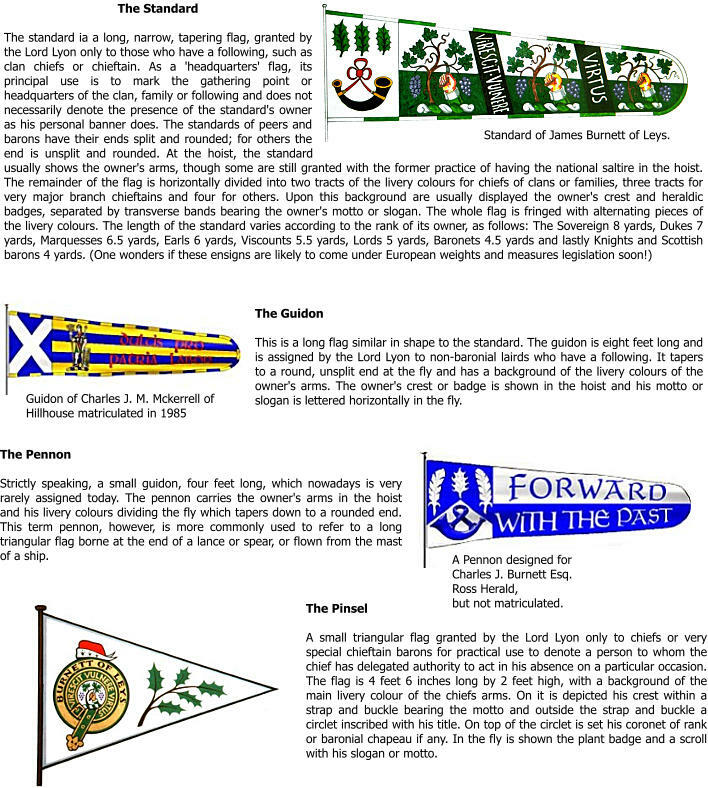 Information on the Heraldry of the Burnetts by Charles Burnett, Ross Herald can be found in the book ‘Crannog to Castle’ , P176 – 203 inclusive. 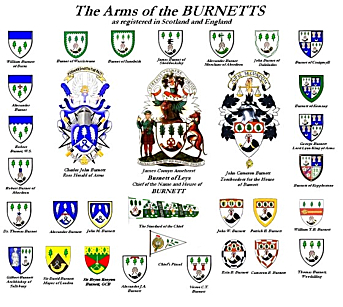 The Arms of the Burnetts – compiled by John Burnett. 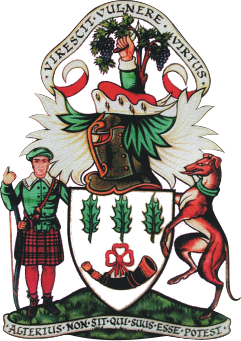 The Achievement of James C. A. Burnett of Leys, Chief of the name of Burnett. In heraldic law, there is no such thing as a “family” crest. The crest belongs only to the person to whom it was issued, i.e. the Chief. However, that stated, when one wears the Chief’s crest encircled by a belt and buckle inscribed with the Chief’s motto, it indicates allegiance to that Chief. 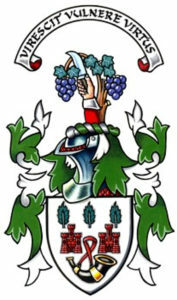 BLAZON – A cubit arm, the hand naked, vested vert, doubled argent, pruning a vine tree with a pruning knife, proper. 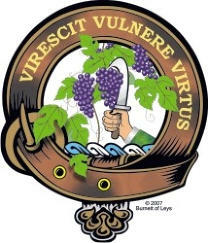 The motto is the same as for the Stewarts and probably owes its origin to Mary, Queen of Scots, who is said to have embroidered it on some material during her imprisonment by Elizabeth I of England.